… to work with supervisors shaping the debate on cutting-edge normative questions. Edinburgh University’s political theory cluster is known for its agenda-setting work on pressing global normative and practical questions. Based in the Politics & International Relations Department, this dynamic group ranges from established scholars of worldwide repute to younger thinkers fast making a name for themselves. Fields of research include: global and climate justice, environmental and human rights, immigration, population, political violence, educational and family justice, citizenship, authority, and political integration. We regularly publish in high-ranking journals and with leading publishers, as well as contributing to the public debate through blogging and other public engagement, nationally and internationally. We all welcome the opportunity to work with qualified, ambitious PhD students. If you would like to discuss a draft proposal in advance of a formal application, please feel free to email potential supervisors directly. … to be part of a vibrant, constructive, interdisciplinary research environment. 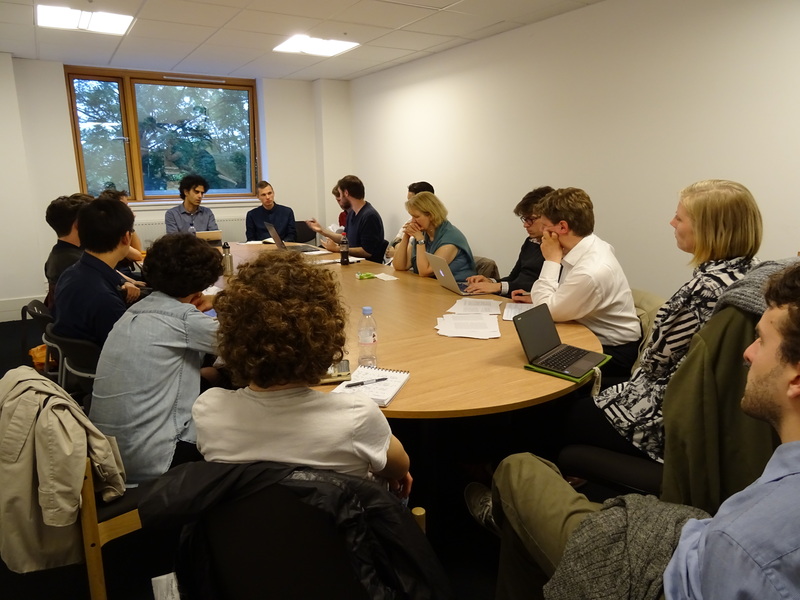 The Political Theory Research Group provides a supportive and insightful forum for feedback on work-in-progress from senior and junior staff and postgraduate students. Members are drawn from Philosophy and Law as well as from Politics and International Relations. The PTRG meets weekly during the semester and is explicitly geared towards preparing work for publication. Previous papers, by staff and graduate students, have gone on to be published in top journals, including Political Theory, European Journal of Political Theory, Ethics and the Journal of Political Philosophy. Political philosophy research students also benefit from a wealth of networking and other opportunities through the Just World Institute, the Ethics Forum, the Global Justice Academy, and the Europa Institute. The Just World Institute brings together leading scholars and public figures to tackle key global normative issues, including immigration, war and peace, climate change, and global poverty. Past speakers have included Amy Allen, Jeff McMahan, Judith Lichtenberg, David Luban, Henry Shue, Cécile Fabre, and Simon Caney. It also provides an opportunity for online feedback and constructive criticism through the popular Working Papers series. The Ethics Forum links academics from across the University with students, practitioners, and the wider public to explore the ethical dimension of current affairs. The Global Justice Academy is an interdisciplinary network supporting research, teaching, and knowledge exchange around issues of global justice. The Europa Institute is one of the world’s longest-established and most active research centres for the advanced study of European integration. … to launch a successful career. Past PhD students have gone on to postdoctoral or teaching positions at prestigious universities, including (recently) the University of Oxford, the Open University, and Queen’s University Belfast, or to a range of non-academic posts, including strategic consultancies and think-tanks such as IFOK in Germany and the Malaysian Blue Ocean Strategy Institute. What do our recent PhDs have to say about Edinburgh?